All exhibitors making sales in Illinois are required to report and pay all tax due based on their total receipts within ten (10) days of the close of the exhibit. The current tax rate for the location of the special event is printed on the coupon. The appropriate coupon (IDOR – 6 SETR form) can be found via the link above. For questions regarding sales tax, IDOR-6-SETR/Special Event Tax Collection Form or if you should apply for an Illinois Business Tax Number, please contact the Illinois Department of Revenue (IDOR) at (847) 294-4475 or email rev.specialevents@illinois.gov. Additional Tax Payer Assistance can be requested at the following numbers (847) 294-4200 / (217) 785-3707. At these number the State can validate that you following the appropriate procedure for your specific circumstance. Some food vendors may quality for a lower tax rate. If you food is prepared for immediate consumption you do not qualify for a reduced rate. Please refer to the Illinois Department of Revenue Regulation or call the Illinois Department of Revenue at (847) 294-4200 to ask specific questions about your particular situation. If an out-of-state buyer purchases merchandise in Illinois and also takes possession of it within the State of Illinois (e.g. 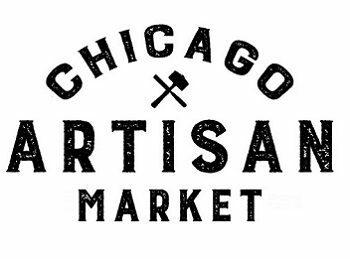 at the Chicago Artisan Market), then the 10.25% sales tax must be collected. Those vendors who have a valid Illinois Business Tax Number should file according to the requirements set by Illinois Department of Revenue. If you participate in three or more trade shows, art fairs, etc. based in Illinois within a year, then you must apply for an Illinois Business Tax Number. Once you are registered, you will receive a ST-1 Form along with payment instructions. For questions regarding sales tax, IDOR-6-SETR/Special Event Tax Collection Form or if you should apply for an Illinois Business Tax Number, please contact the Illinois Department of Revenue at (847) 294-4475.